Can You Rely on Public Water Treatment? With everyone being health-conscience these days, there are plenty of questions surrounding the safety of many everyday things. These questions include “How safe is our drinking water?” With the lead crisis in Flint, Michigan, it starts to make one think about our reliance on public water treatment. Is it safe enough for you to rely solely on your tap water, or do you need to take steps to make it even safer after it flows into your home or business? The water you drink comes from lakes and streams, as well as reservoirs. It is ground water that is collected by drilling wells and pumping it to the surface. Public water treatment systems are either privately held facilities or government facilities that filter and distribute this natural water. 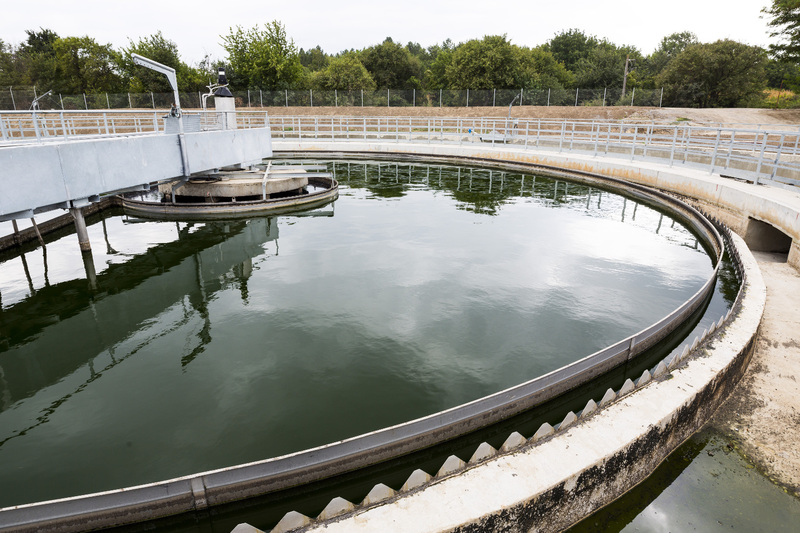 The basic function of surface water systems is to provide water from the surface or ground water, and they will usually put it through a treatment process before sending it out for public consumption. This is known as public water treatment, and most US metropolises have public water treatment facilities in place. Alternately, if your home uses a private well for water, then you will most likely have a private water treatment system already installed to make sure you have clean drinking water. How Do I Know that Public Water is Safe to Drink? There are federal laws in place that require that public water treatment systems reduce certain contaminants to a set level. This is done to ensure the public is safe from the contaminants that can cause illnesses and other detriments to human health. The Environmental Protection Agency, or the EPA, is the agency that is responsible for making sure that the public water supplies in the United States are safe. In order to do this, there was an act of Congress in 1974 that passed the Safe Drinking Water Act. This law was set up to protect the nation’s public drinking water supply by giving the EPA a set of standards to follow. This made sure that they oversaw the standards and quality of each state’s public water and that of private water suppliers. The law was later amended in the 1980's and again in the 1990's to further protect drinking water and its sources, including the streams, rivers, and reservoirs previously mentioned. With these laws and the EPA standards of the safe Drinking Water Act, it is safe to say that the water flowing into most US homes and businesses is safe to drink. If you live in an area that you do not feel has safe drinking water, there are steps you can take to make sure you are getting clean water. How often your public water is tested will depend on the number of people the public water treatment facility serves, as well as the type of water source and its contaminants. There are certain contaminants that are tested more frequently than others, due to the standards set by the Safe Drinking Water Act. In general, the more harmful contaminants will be tested more frequently than the less important ones. If you are concerned about the water in your home, but not sure if you need an in-home water treatment system, you can always have your home water supply tested. To do this, you can simply contact your state drinking water certification officer. They can give you a list of certified labs in your state that can come and test your water. The price to do this will vary on how many contaminants you want tested. You may also be able to call your local health department, and they can assist you in determining the safety of your drinking water. If your home water has a funny smell, taste, or color, it is not always cause for concern, but there are times when these changes can mean that there is a problem. If you do notice any changes, you can simply contact your public water treatment office. It is not always necessary to have an in-home system unless you use a private well, but many people just want to take an extra safety step for their families. There are some contaminants that can get into the public water supply, including naturally occurring chemicals and minerals as well as chemicals from local land use such as fertilizers and livestock. Helping control these substances could be as simple as installing a water purifier right onto your existing faucets. Though not necessary in most areas due to the EPA making sure the water meets certain standards, it is a personal choice you can make. From all the regulations in place from the Safe Drinking Water Act to Bottled Water Regulations, it is highly likely that your drinking water is safe. If there is something in the water, your community should be notified. With all of this in mind, the answer to the original question is “Yes.” You can almost always rely on public water treatment for the water flowing into your home from the public water treatment facilities. There are offices that can answer any of your questions and will make sure your water is safe. The only major exception is when a government decides to not disclose information right away, as with what happened in Flint, Michigan. You can read more about that disaster at Advanced Water Solutions’ blog here. However, most of the time, the government is working for the people and will keep your water safe.